Welcome to dvdloc8.com. dvdloc8.com has been created by DVD lovers for DVD lovers everywhere around the world, and with your help, aims to become a website that DVD lovers will find useful. Our principle is that development never stops, so look out for the many new exciting features we will be implementing in the near future. We'll never stop trying to improve this website to meet and exceed your satisfaction. dvdloc8.com is produced by New Age Web, a company based in Australia that specialises in web design and development. One of the founders of New Age Web is also the webmaster and owner of Digital Digest, one of the first and largest DVD and digital video websites on the net. 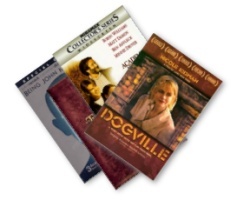 dvdloc8.com was created in the hope that it can one day become the largest and most accurate DVD database on the Internet. To achieve this goal, we will need a collabrative effort from DVD enthusiasts all over the world, and this is why we have setup a system whereby you will get rewarded for your efforts. Our secondary goal is to make this website the best place to look for all your DVD needs, including price comparison, reviews, easter eggs and more, without having to look at dozens of different websites. We also want DVD lovers from all over the world to be able to use and enjoy this website, and that's why our website has been setup to accomondate DVDs from all regions of the world. Right now, our database has a good selection of US/Canadian (region 1), UK (region 2) and Australian/NZ (region 4) DVDs, and in time, we will have more DVDs from more regions of the world.